It's not every lifetime that you get a chance to celebrate a solstice with a total eclipse of the moon. Weather permitting, a lunar eclipse will be visible from 1:33 to 5:01 a.m. ET Tuesday, with the total eclipse starting at about 2:41 a.m., according to NASA. The eclipse happens to be on the day of a solstice (first day of winter for the Northern Hemisphere; first day of summer for the Southern Hemisphere). The last time a lunar eclipse happened on a solstice was 372 years ago, in 1638, the U.S. Naval Observatory’s Geoff Chester told NASA. Why is this significant, besides being so rare that it hasn't happened since Galileo was living out his days under house arrest? For eclipse watchers, it means "that the moon will appear very high in the night sky, as the solstice marks the time when Earth’s axial tilt is farthest away from the sun," according to NASA. Scientists aren't the only ones interested in the confluence. To astrologers, Tuesday morning's package - the Northern Hemisphere's darkest day of the year, a full moon and a total lunar eclipse - is a doozie. Share your video and images of the eclipse through iReport. Florida astrologer Brian Hill says each event has a significant effect on people. A lunar eclipse alone, he says, disrupts vibrations from the moon, letting people’s intuition work more freely and allowing them “to receive information that the logical left brain normally doesn't get." A full moon, the culmination of a cycle, portends endings, and a winter solstice gets people feeling an energy of withdrawal, in the manner that allows animals know it’s time to hibernate, he says. With Mercury also in retrograde, now is the time for reflection and introspection, he says. "The four big planetary phenomenon at the same time tell us to slow down and see what’s going on," Hill said Monday. "Everything is saying, 'Slow down, we're moving way too fast, and really take a look at what we’re doing, where we’re going and what we want to do.' "
Another Florida astrologer, Bob Mulligan, told the News-Press of Fort Myers he also sees the solstice/eclipse confluence as a big deal: "With solstices, we traditionally mark the beginning of seasons as turning points. Full moons are times of great stress on the planet. A lunar eclipse is a full moon on steroids; symbolically, it’s a time of letting go of something from the past." So, Mulligan told the News-Press, 2011 "will be a breath of relief, the death of one way of doing things and the very beginning of something brand new." A lunar eclipse happens when the Earth lines up between the sun and the moon, blocking the sun’s rays and casting its shadow on the moon, NASA says, and eclipse watchers will be in for a colorful treat. 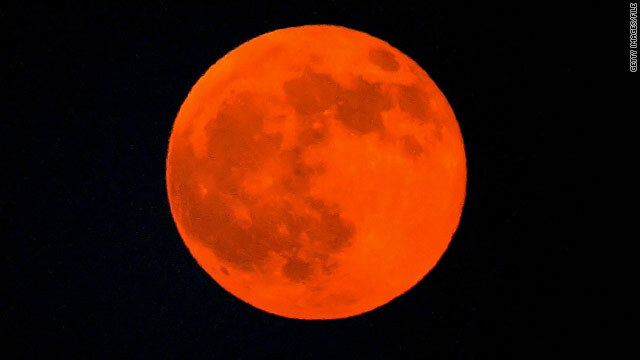 As the moon moves into Earth’s shadow, it appears to change color, turning from gray to orange to deep red. The new color stems from indirect sunlight that passes through Earth’s atmosphere and casts a glow on the moon, according to NASA. No special equipment is needed for viewing, unlike solar eclipses. The Ursid meteor shower might also be in view Tuesday morning, thanks to the blocking of the moonlight, Space.com reported. The eclipse will be visible from North America, Greenland and Iceland. Western Europe will see the beginning stages before moonset, while western Asia will get the later stages after moonrise. To find out the best viewing times outside of the Eastern Time Zone, check out NASA's page on the December 21 lunar eclipse. Those who'd like to watch the eclipse indoors can check out NASA's live video web feed. Through that same link, you can access a live chat with Marshall Space Flight Center astronomer Mitzi Adams from midnight to 5 a.m. ET. If you miss this lunar eclipse, you'll get your next shot at seeing one in the continental United States on April 15, 2014. But you have quite a while to wait for the next lunar eclipse on a solstice - that won't happen for another 84 years, Chester said.